Grounding meditation techniques are a way to bring the mind back into the present moment. This is especially important for people with PTSD and for when we get lost in painful memories and other negative states of mind. Buddhists and yogis, meanwhile, use grounding meditations for monkey mind and emotional balance. Most of the 31 major meditation techniques help with this. But there is one grounding meditation technique that is particularly powerful. It will stop monkey mind. What Is Monkey Mind And Why Do Grounding Meditation Techniques Help? If you have ever had one of those days when your head seems to be up in the clouds and you simply cannot focus, then you’ll understand the need for grounding. Grounding (with meditation or with cognitive behavioural therapy) brings us back to the present moment and balances our emotions. If so, you may be suffering from Monkey Mind. “Monkey Mind” is a Buddhist term that refers to a constantly noisy, ever changing mind. 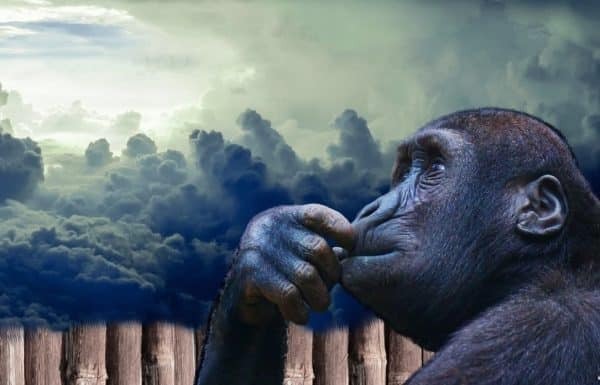 If you ever experience those moments when you wish your thoughts would just shut up so you can actually focus for a second, then you have experienced monkey mind. Buddhist philosophy has told us for millennia that grounding meditation techniques stop monkey mind. The Buddha said that the mind is like a monkey that is constantly jumping between thoughts, catching hold of one thought then randomly jumping to another thought, achieving little, just disturbing the peace of the forest (the mind). Now, science has proven that Buddha’s view on monkey mind was correct. The Institute of Noetic Sciences published research that shows that experienced meditators have less erratic thoughts (less monkey mind) that non-meditators. Researchers asked 12 novices and 12 expert meditators to meditate. They then intentionally disturbed the meditators every two minutes to see how their minds wandered. The results show that experienced meditators can silence out distractions and experience less monkey mind than non-meditators and novice-meditators. The basic process of grounding meditation techniques is to bring us back to now. And this is, of course, the basic process of meditation and mindfulness. When we practice mindfulness we focus on the present moment, and this returns the mind to now. While we are focusing on the present moment, we are quieting our thoughts and feelings, which produces inner stillness and balance. Thoughts are like tremors, and sometimes earthquakes, that disturb us from the present moment. But mindfulness grounds us. All meditations ground us because they all quiet the mind. 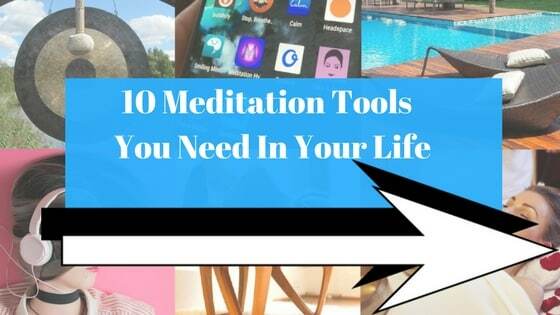 But as a meditation teacher (and someone who used to suffer from acute stress years ago) I have found that some meditation techniques ground the mind more effectively than others. Grounding meditation is one of the best ways how to cure your monkey mind. Grounding meditation techniques are about creating focus and relaxation, as well as refreshing the mind and body so as to create more energy. Grounding meditation techniques usually involve use of the imagination. Specifically, when you perform a grounding meditation you will usually visualise the body in contact with the ground. This helps to create present mindedness and the state of being in the moment. Take 25 breaths in the style of Nine Round Breathing. Or simply take 25 deep breaths while focusing on the movement of breaths around the body. Now imagine that there is a silver chord that rises from the ground, goes right up through your spine, and continue on all the way up into the sky. It keeps going higher and higher, all the way through the universe. And it reaches into an all consuming white light. See the cord rising from the ground, through your spine, out through the centre of your head, up to the stars and then meeting a bright white light that expands ever outwards. Once you reach the white light, follow the chord back down to your spine and then into the floor. Imagine this chord being in contact with the ground, then downwards through the surface, travelling through the earth until it comes to the centre of the earth, a big burning ball of fire. Once you have completed this visualisation, meditate on the entire process. See the silver cord reaching from the bright light of the universe, through your body and down to the fiery depths of the earth. Meditate on this for 10 minutes. While meditating you might like to include some positive affirmations. These affirmations can be spiritual—for instance, “I am one with the universe” –or practical—“I am focusing on my work and being highly productive,” for instance. Practice this grounding meditation technique whenever you feel that you cannot focus. It will quickly refresh your mind and body and increase your productivity. When you practice this visualisation you will feel more connected to the world and more aware of your own body. You can feel what a difference this meditation makes, right? It grounds the mind on the present moment and silences unhelpful thoughts and emotions. Another enlightened way to boost productivity is by using some mantras for focus. By maintaining a regular meditation practice we can ground the mind, silence unhelpful thoughts and feelings, and, as a result, massively increase productivity.